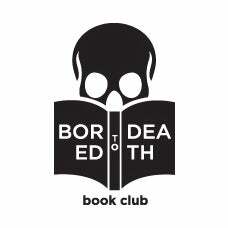 We are a book club from Rotterdam, The Netherlands, interested in bringing unexplored English literature to the masses. We host two book clubs every month, one aimed at Young Adult books and the other at 'regular ol' books and we enjoy the hell out of it. With this shop anyone can order the books we read and read along, even if they don't live in our tiny country. We love to hear what you think of the books and if anyone ever wants to write a review about them for our blog, please let us know! Besides our book club picks, we will also curate a Book Bundle and a YA Bundle with two reads per bundle (can't get enough of that word) that we're interested in at the moment. We'll pick new books every month, so keep checking in for things to read!